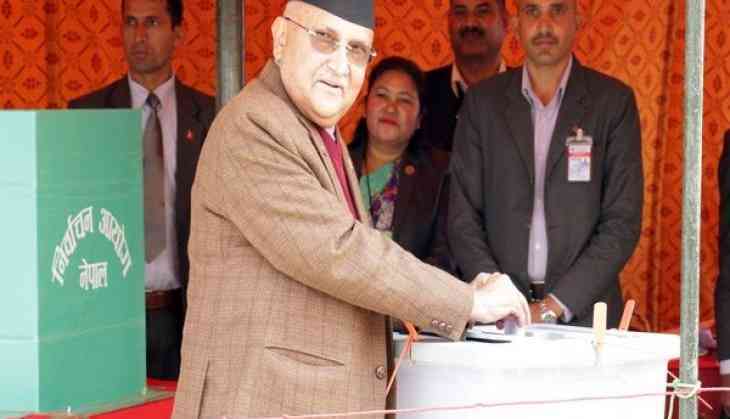 Nepal Prime Minister Khadga Prasad Sharma Oli, next month will address the nation from the Himalayan District of Nepal, Mugu which borders China. Prime Minister Oli, who will be visiting Mugu to inaugurate the Karnali Province's Tourism Year 2018-19 starting on April 14. This is the first time that a Nepali Prime Minister will be addressing the nation out of the Parliament, Official Residence and Office. "Prime Minister Oli will be addressing the nation on the very first day of New Year from Rara Lake," The secretariat of the Prime Minister stated in a release late on Wednesday. Rara, which is the biggest lake in Nepal, lies on the Mugu District falling on the Karnali Province, the least developed province amongst the seven provinces of the new federal system adopted by the country. The strategically important district of Nepal bordering China has the nearest Chinese market, Hyazimang and the nearest crossing point for Tibet to China, situated at an elevation of 6,495 metres. "The decision of the Prime Minister to address the nation from the least developed district of the nation will have a very positive impact on the people of the district as it is one of the most backward regions of the country," Karuna Devkota, a postgraduate student in capital Kathmandu told ANI. Nepal, who have agreed to establish the seven-border crossing along the border with China in 2015, came at a time when the protests by Madhesis in the southern plains, regarding the demand to be recognised in the newly-formed Nepali constitution, led to the blocking of basic supplies from India.